Our training providers are located in six different locations all over the United States. These locations are spaced over six cities in five different states. Because California is one on the biggest job markets for healthcare in the country, we have two providers in that state. 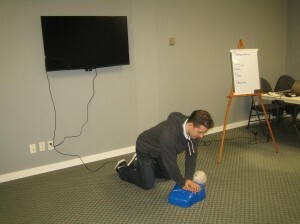 The training programs at our providers are the the best quality CPR classes in their respective cities. They are available at the cheapest rates; other providers just can’t compare. There are a total of 8 programs offered at all the locations. Five programs are training programs and three programs are re-certification classes. Re-certification is available for three of the programs, one BLS class and both ALS classes. Training certificates are awarded to students once they complete their enrolled program and pass the certification test (practical and written). The certificates are valid for two years (24 months) before they expire. They can be renewed through a re-certification class as long as they have not expired yet. Expired certificates are not qualified for renewal. Enrolment can be completed through the provider website, e-mail, telephone call, or walk-in during business hours. If you have any questions or problems, don’t hesitate to reach out towards our staff. They are friendly and are willing to help you with anything.